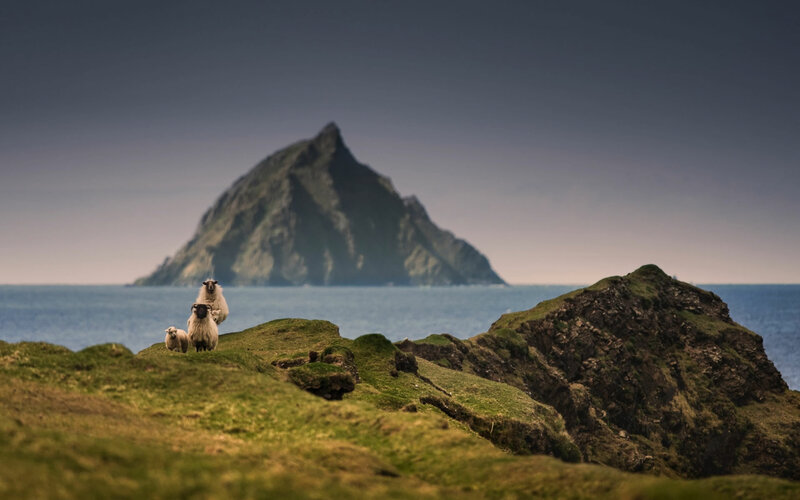 The Great Blasket Island is a walker's paradise and the perfect day trip while visiting County Kerry and the Dingle Peninsula. Walk the unique system of unfenced green roads - grassy tracks previously used by the Blasket islanders and these days kept trimmed by the island's sheep, rabbits and hares. Take a stroll down to An Trá Bán ( White Strand), the pristine island beach, and take a dip in the refreshing Atlantic waves. Take a longer hike around the back of the island where you can enjoy amazing views over the other islands of the archipelago, amongst them Inis Tuascairt and remote, cone-shaped Tearacht. Take a hike up to the 'Cró', the island's highest point at 292m - the perfect spot for a picnic. 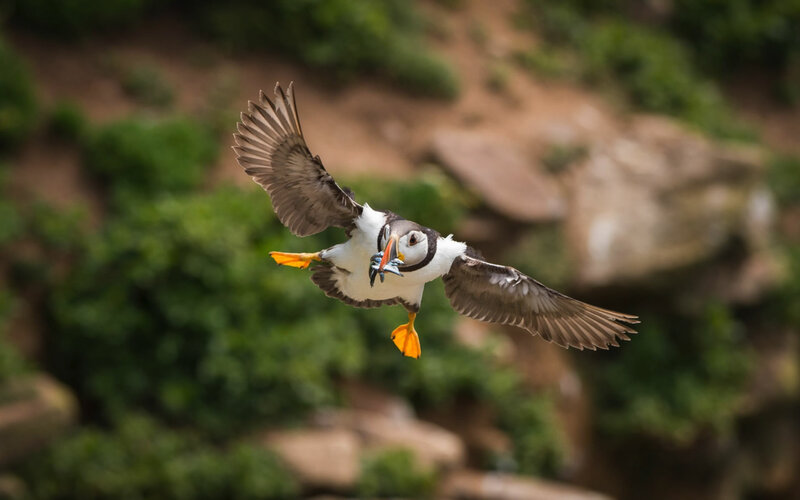 Don't forget to look out for the amazing amount of birdlife surrounding the island, including diving Gannets and playful Choughs. You might even catch a glimpse of a White-tailed Eagle - they've recently been reintroduced to the Kerry mountains. 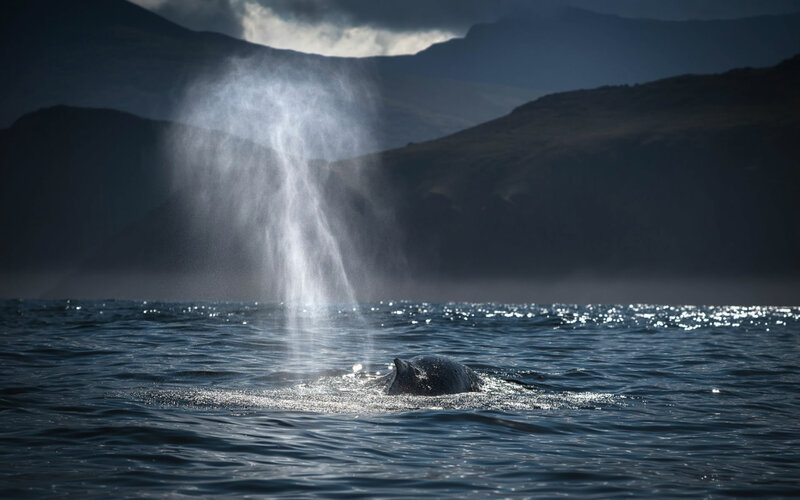 For some less strenuous activity join us on an adventure trip aboard our Eco Marine Adventure Tour around the Blasket Islands visit our Marine Tours site for more information. Sit down at the southern end of the island and take out your binoculars for some dolphin and whale watching, with Common and Bottlenose Dolphins, Porpoises and Minke Whales being regular visitors to these waters, as well as gigantic Basking Sharks filter-feeeding around the rocks here. 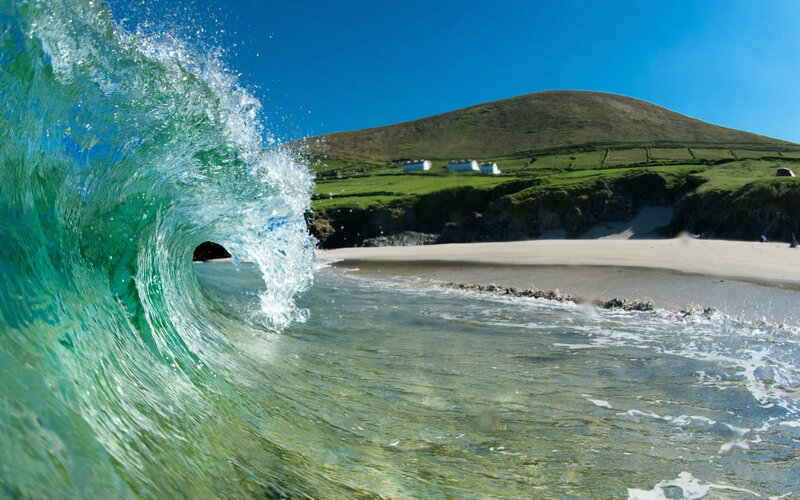 A Dingle Holiday can offer a lot off things, from exploring beautiful Islands to enjoying one of Ireland's liveliest towns. There is a wonderful choice of restaurants in Dingle town and around the Peninsula, from O'Gormans Hilltop restaurant in Ballydavid, to a diverse choice in Dingle itself from Benner's Hotel and restaurant to "The Coastguard Restaurant" in the Dingle Skellig Hotel. Dingle boasts a wide selection of pubs, many of which are famous for their traditional character and their wonderful Irish music. The world-famous "An Droichead Beag", features nightly music sessions, featuring local Dingle traditional musicians and nationally renowed figures as well. Check out the 'Folk Concerts' in St James' church in Main Street, Dingle. On Mondays, Wednesdays and Fridays the best of local and visiting musicians come together for a two-hour concert in this 200-year-old church. Tickets are available from the Tourist Office, Leac-a-Re craft shop and others.